When I see something that’s marketed as Japanese-Italian fusion, the first thing that comes to my mind is Super Mario Brothers, one of the best video games ever released by Nintendo. 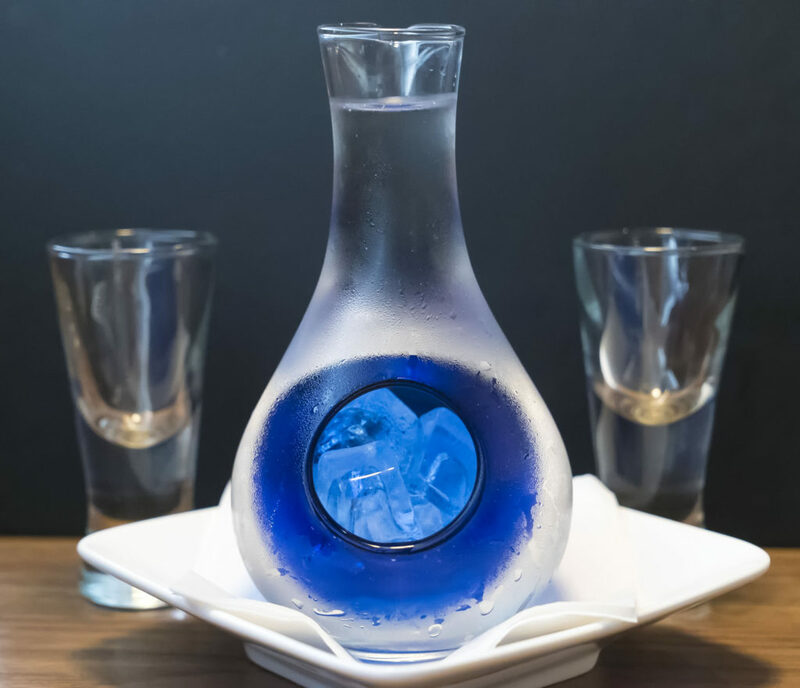 First, a nice pour of sake from this very cool bottle that houses the ice inside the center without touching the sake and thereby watering it down. This place also mixes up some really nice cocktails too, by the way, like the EMW, which is made with shiso leaf, sake and gin. 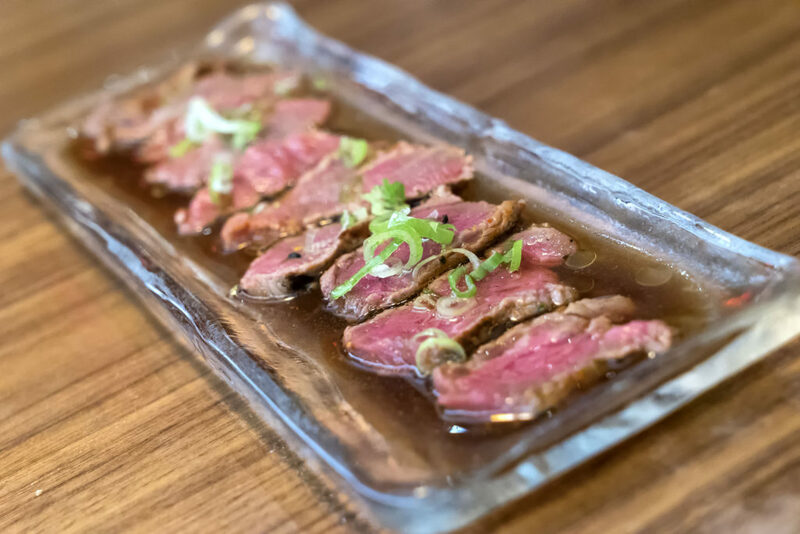 We started with this filet mignon, which was served sliced, tataki style, with a ponzu, garlic and truffle sauce. The truffle and garlic really brought an awesome fusion flavor to an otherwise Japanese flavored dish. While this wasn’t a traditional “steak” in the sense of a steakhouse cut or portion size, I’m still going to score it since it was worth discussing. 8/10. 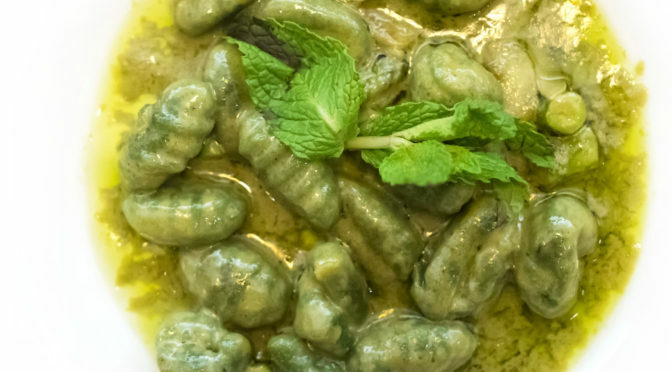 I definitely recommend this dish. Next up was the tuna tartare martini with avocado and caviar. 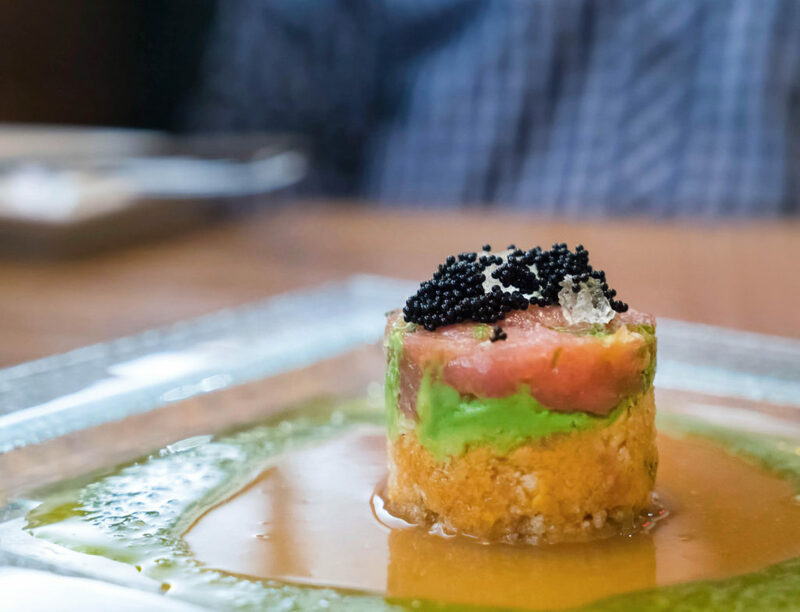 The orange layer at the bottom definitely had some tobiko mixed in for a nice change-up in texture. Very smart. The mango and basil pesto sauce really made this pop with unorthodox and surprisingly good flavor combinations. Also recommended. While the flatbread wasn’t exactly the pizza dough crust that I imagined (it was more like a puffy cracker), it did pack a lot of flavor. 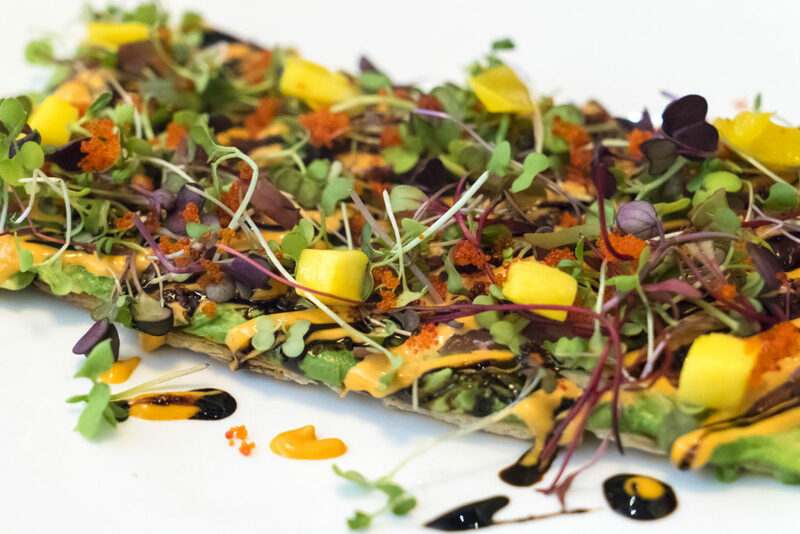 We tried the spicy tuna caviar flatbread. It wasn’t as much of a fusion as some of the others seemed to be, like the seared salmon flatbread, but it was really delicious nonetheless. If you’ve ever had “sushi pizza” before at some other restaurants, it is somewhat similar to that, and always a crowd-pleaser. 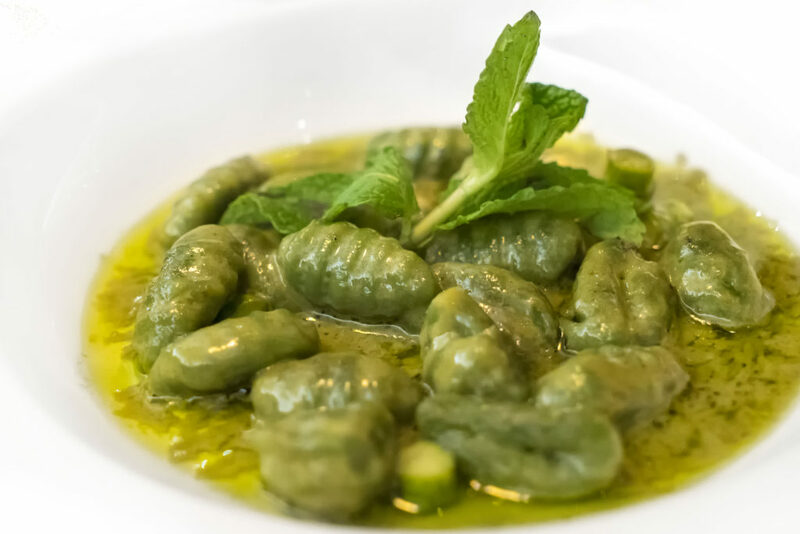 This bowl of green tea gnocchi with asparagus and capers in a light butter sauce was absolutely perfect. Definitely my favorite item of the night, by far. 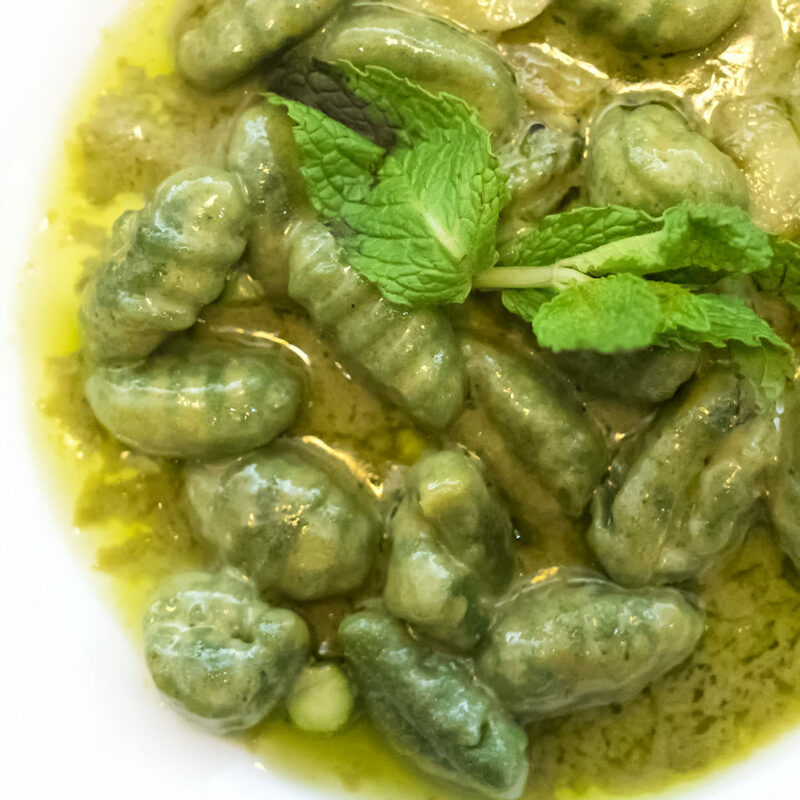 While it leaned a bit more on the Italian side, it was probably one of the better gnocchi dishes I’ve had in town. The green tea flavor was very mild, but the sauce was drinkable. I highly recommend this dish when you go here. Not only was it tasty, but it was also beautiful. 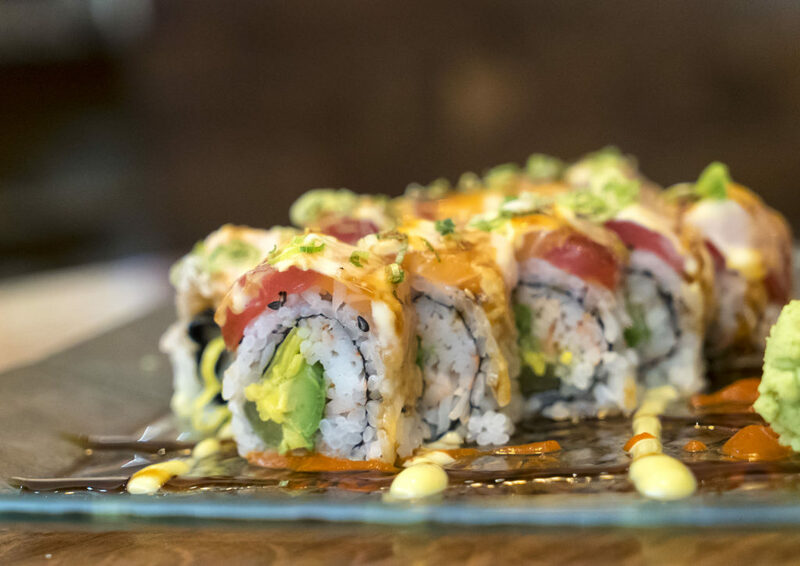 We finished our savory courses with the Squarano roll; seared tuna, seared salmon, kani, avocado, scallion, pepperoncini and green tea aioli. This was pretty tasty, and nicely nestled into the fusion realm with the addition of an aioli and pepperoncini from Italian cuisine. Really, you can’t go wrong with any of their special roll selections. They all looked great. For dessert we tried the cheese cake tempura, which was nice and crispy outside, and soft like mashed potatoes inside. It had just the right amount of sweetness, and the berry compote on the plate was the perfect way to incorporate a sauce element. Definitely give this place a shot. It just opened in March and the place was packed to the gills when we went on a Tuesday night at 7pm. 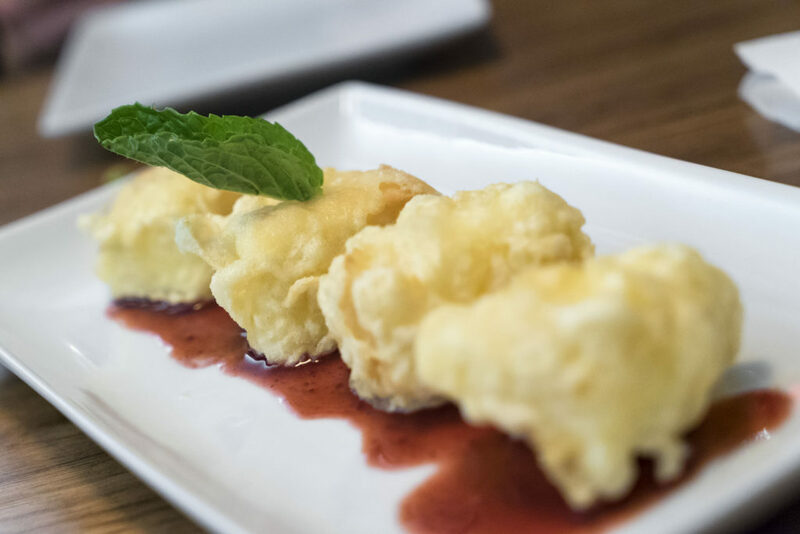 The ambiance is comfortable, not too dim, not too bright, not too loud and very spacious, which is a welcome addition to the NYC Japanese restaurant world.